The engine for Titan has arrived! It’s a 5 cylinder radial with 60 Hp. Next step will be building the airframe. Can’t wait to hear how cool this thing sounds. Design work on our Titan Multicopter has progressed sufficiently to determine the rotor layout and the overall vehicle size. Shown below is an outline of the vehicle compared to Goliath, a DJI Mavic Air and a banana. 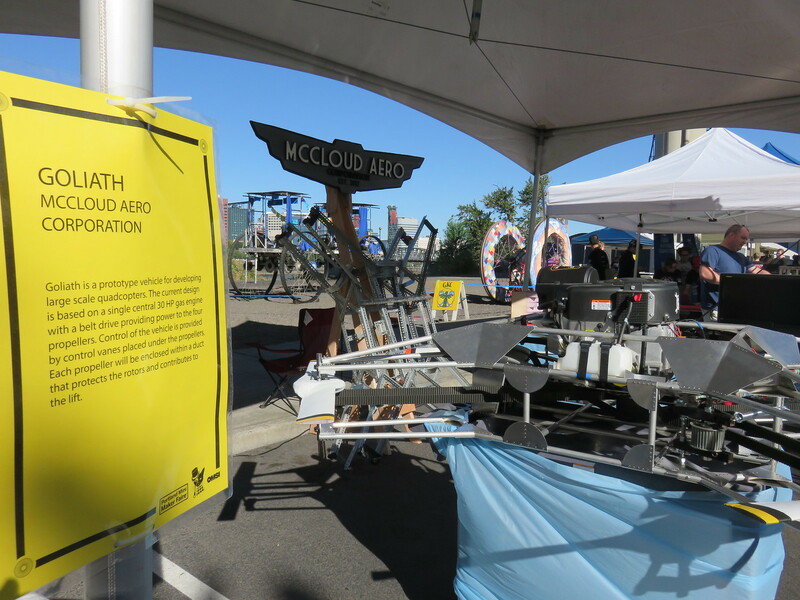 McCloud Aero Corp. will be at the Portland Maker Faire on Sept 15th and 16th. We’ll have Goliath on display with a full set of the Electric Variable Pitch Rotors (EVPR). Stop by and visit us to see what’s new! Last weekend I stopped by Ctrl-H, a hackerspace in Portland for Hackaday’s World Create Day. The hackerspace is really neat place and there were a lot of people showing off neat projects. I brought the second Electric Variable Pitch Rotor prototype for the show and tell portion of the event. Thanks to Drew Fustini(@pdp7) for the photo! The latest project underway at McCloud Aero Corp is an Electric Variable Pitch Rotor (EVPR). This concept uses electric servos inside the the rotor hub to drive the rotor blades. Power and data are provided wirelessly, making the design self-contained. The concept is in the early stages of development, but you can follow the progress on Hackday.io. The EVPR has been entered for the 2017 Hackaday Prize, so you can support the project by going to Hackday.io and giving it a Like. 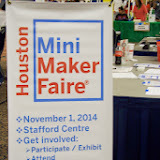 Tomorrow is the Houston Mini Maker Faire and we’ll be bringing Goliath to show off. Stop by our booth and say hi! Last week, while gearing up to do the first hover test with Goliath, the vehicle was damaged. Hackaday.com wrote an article about the test here. Two new props are in the process of being made and I’m researching how to fix the belt issues that was the cause of the damage. Below is a video of the test where the damage occurs. Goliath selected as a Semifinalist for The Hackaday Prize! Inputs for the next round are due by 9/28.